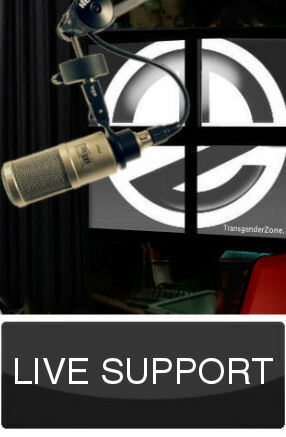 TransgenderZone Vlog #63 210714 – No Agenda! A Butch lesbian and a Rottweiler!. Hosts – Sam Johnson, Janett Scott, and Rona Rees. Chat room and Contributers – Sophia Botha, Gail, RonaRees, ella, nikki74, Krystine_, plus Chat Guests. *No Agenda! We chew the cud and discuss the news. *Drag Queen prevented from appearing on Scottish Television – ‘as inappropriate’. 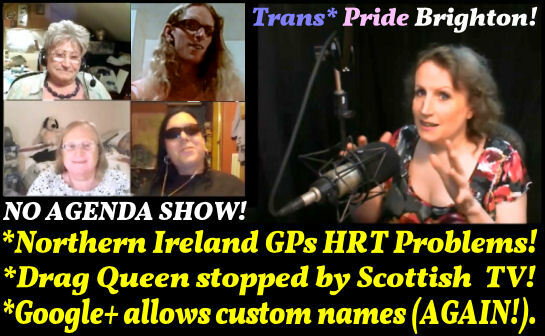 *Northern Ireland GPs not managing trans people properly. *Google+ now allows custom names (AGAIN!). Google+ News Stories in Order Showing how nick name decisions have ebbed and flowed over the last 2 years. Daily Mail Last year – Google Plus reverses decision to ban nicknames. Violet Blue (Story Jun 9 2014) Second Story on the subject of transpeople being outed as a result! Then they change their minds again this month! Google+ now allows custom names (July 16th 2014). Richard Ingram Story from Transgender Zone Library 2003! 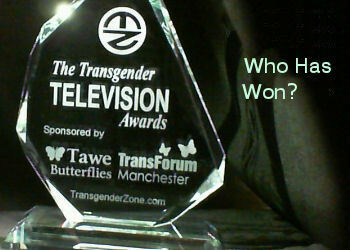 http://media.transgenderzone.com/?page_id=44 and press BIG WATCH LIVE button!For additional show notes, visit the media page for this episode. 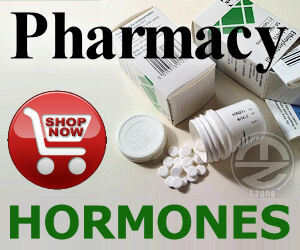 Transgender, Transsexual, Transman, Transwoman, Transvestite, MTF, FTM, Gender Variant, GenderQueer, qu*er, Cross-dressing, Cross-dresser, Cross-dressing, Intersex, non-binary, gender neutral, genderqueer, agender, third gender, Charing Cross Hospital, London, United Kingdom Transsexuals, SRS, GRS, Trans* Pride Brighon, Scotland, Drag Queen, STV, STV, Rona Rees. « TransgenderZone Vlog #62 140714 – Sparkle in the Park – The Debrief!